EUROMATIK.net is based on the established EUROMATIK series and contains the latest findings from modern control engineering. The integrated webserver enables simple connection to a computer, a computer network and the Internet. This makes convenient and safe control of swimming pool equipment possible from almost any location in the world. It doesn’t matter whether you use a computer, a Tablet PC, whether you are working with WLAN or you prefer to use your smartphone. Multi-stage password protection offers the swimming pool owner the best possible protection of his expensive equipment. If there should be a fault, EUROMATIK.net automatically sends an e-mail to inform the recipient about the current situation. 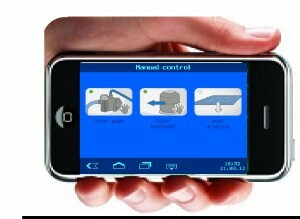 The control system also saves an operation log which can be read out directly on the device or via the Internet. This log can be called up in different formats so that it can be further processed on the PC. 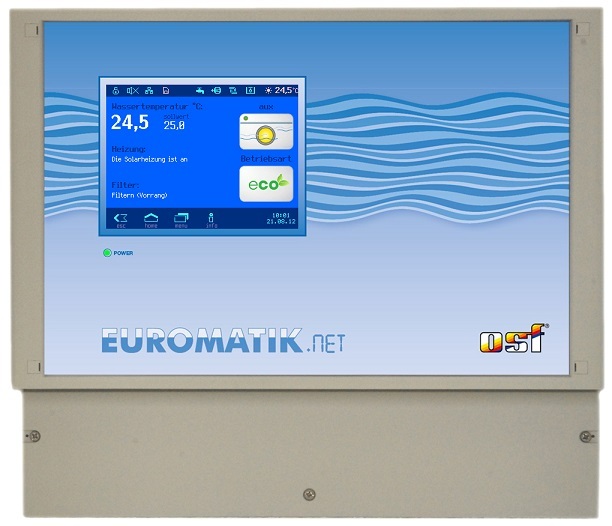 The modern EUROMATIK.net contains a touchscreen monitor and can be individually configured on site. For example, the filter unit can be operated using one filter pump, with two filter pumps or with a speed-controlled pump. This allows different pump capacities to be implemented for filter operation, standby operation and backwashing. If you want to save energy the ECO mode can also be configured specific to the equipment, whereby the pump speed and water temperature can be selected and the overflow channel can be run dry. 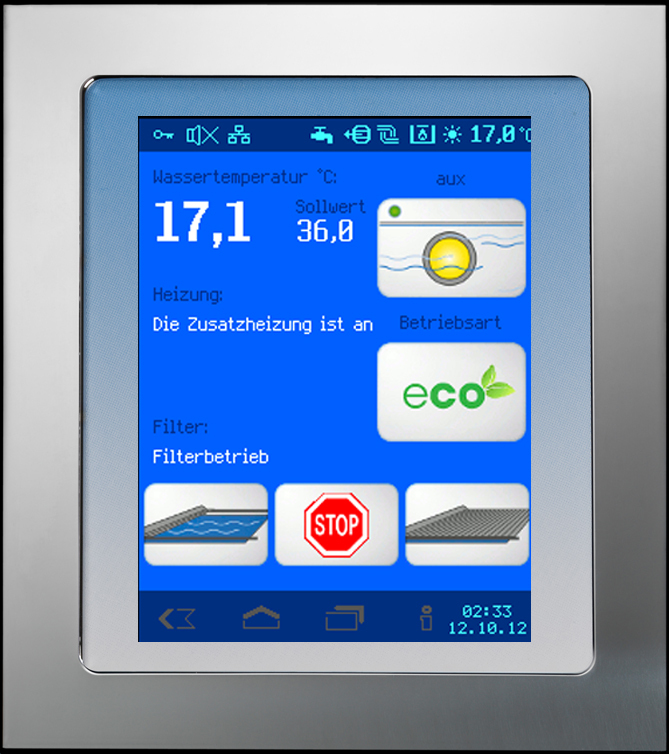 Another special feature is the external control panel for wall fixing, which also includes a touchscreen monitor. In addition to the integrated level regulation system, which can be used for skimmer basins or overflow channels, the control system also contains a backwashing control unit for 6-way valves and bar valves. 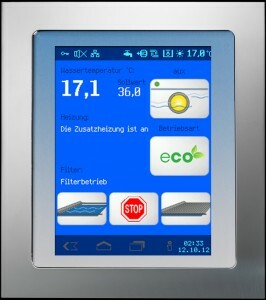 The EUROMATIK.net not only contains the control system for the swimming pool covers, but also a frost protection function, a solar and heat pump control system and much more..
For people who are also operating the Internet-capable WATERFRIEND MRD-3 instrumentation and control system, the convenient Internet portal can also be used. In this case, both Internet connections will be displayed on the monitor in a common window. The integrated bus interface makes it possible to connect the EUROMATIK.net with further control systems. This also means that the DMX colour lighting can be programmed and controlled directly on the external control panel using the Colour Controller.